Superintendent Matt Duffy will present an overview of the West Contra Costa Unified School District and the many challenges that face the district going into the new school year, including limited budgets, security concerns, curriculum, discipline issues, and the ongoing issues involving Charter vs. public schools. Superintendent Matt Duffy is originally from New York City where he taught middle school for four years in the South Bronx and three years as a Vice Principal in Harlem. Duffy spent nine years in the Oakland Unified School District serving as a principal and an area superintendent. As an area superintendent, he oversaw a portfolio of 15 schools including middle and high schools throughout the city. 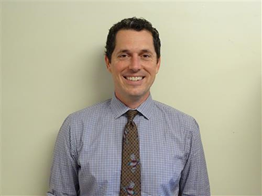 Before coming to WCCUSD in 2016 Duffy served as the Assistant Superintendent in Milpitas Unified where he was in charge of teaching and learning, leadership, enrollment, technology, Special Education, and LCAP development. Superintendent Duffy is the ninth permanent superintendent in WCCUSD history. He lives in Oakland with his wife Tamara and three kids. The two candidates for AC Transit Director at Large will make their case before members for an ECDC endorsement, with a vote to follow. Dollene Jones is the Co-Founder/CEO of Abundance Worldwide Enterprises at St. Mary’s College. Jones was a bus operator for AC Transit for more than 21 years and has previously run to be an AC Transit Director. She is presently a Senior Transportation Ambassador for the Senior Mobility Action Council of the Advisory on Aging in Contra Costa County. Joel Young is an East Bay attorney and was appointed by the AC Transit Board of Directors in February 2009 to fill one of the District’s two At Large positions. He was elected by the voters in 2010 and re-elected to serve another term in 2014. Previously he worked on two local campaigns and practiced securities law. Director Young earned his Bachelor’s Degree from the University of California at Berkeley and his Juris Doctor from the U.C. Berkeley School of Law. Official Ballot Title: Conforms California Daylight Saving Time to Federal Law. Allows Legislature to Change Daylight Saving Time Period. Legislative Statute. A yes vote supports allowing local governments to adopt rent control, repealing the Costa-Hawkins Rental Housing Act. ** Summary information on propositions used here is from Ballotpedia.